Wattgate's 320 IEC connector is perfect as a replacement or building of your own audiophile grade power cords. 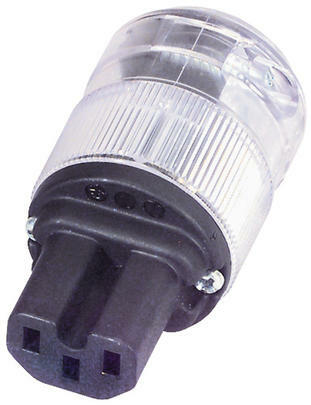 Heavy-duty vinyl connector body is available in black or clear. Perma-Lock™ terminals actually "lock up" the screw's threads. Heat and vibration cannot loosen the screw. This exclusive design creates a superior low resistance connector. Plug is cryogenically treated, rated at 125 V, 15A, and accepts up to 10 gauge wire.